Chino – Chino Police Department is proactively fighting package theft in the city this holiday season with a little help from their friends. 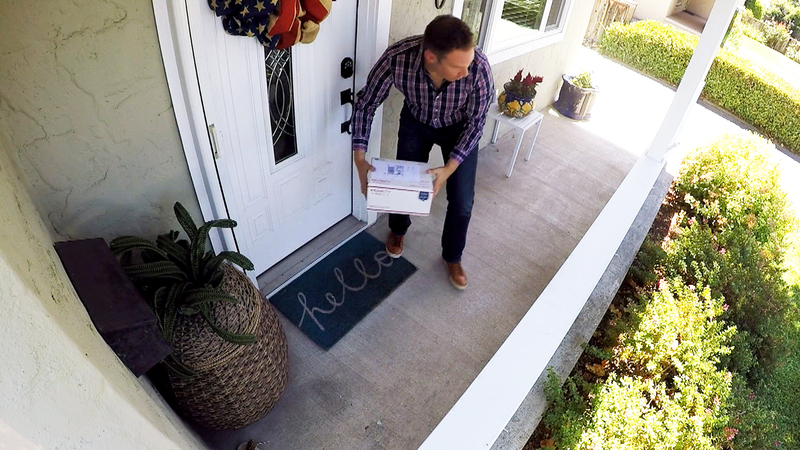 “The Chino Police Department has partnered with several members of the community to deploy decoy packages with GPS tracking abilities in an effort to deter crime and aide in stolen package investigations,” says Tamrin Olden of the Crime Prevention Department. “We have done this on a much smaller scale in the past, targeting an area or neighborhood that had multiple reports of theft”. “Due to the season we are trying it out on a much larger scale this time”, said Olden. “Olden said that the cost to the Department and the community is almost negligible due to the fact we use the GPS devices for other investigations all the time”. “Olden added that they also have boxes that are used for multiple purposes so there isn’t any cost there”. “We have a software license that allows us to print and use popular company names labels without any repercussions”. The residents and this newspaper have parts to play in this wonderful idea as well, the more people we tell about this program the more criminals will be deterred from committing the crime at all. That means that more people will get their packages without incident. If the companies we shop with don’t have to replace merchandise at their expense it ultimately helps them keep their prices down for the consumer. “Although some are crimes of opportunity some packages will lead us to other crimes, someone with warrants, teams of people, drugs or just career criminals into multiple things” says Olden. This is a win, win situation for everybody, except of course the people stealing packages. Please report any suspicious activity to the Chino Police Department 909-334-3000.